When faced with progressive and chronic illnesses that require special care, we also provide Care Home options that feature well-trained caregivers, on-call doctors and an army of support staff. 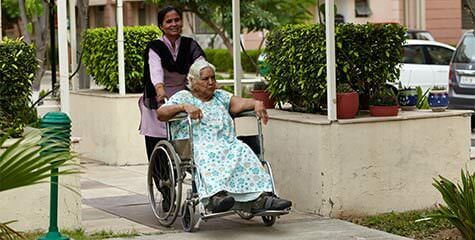 Ashiana Housing’s CCRCs or Care Homes (Assisted Living) provide senior residents with care customised to their medical needs in the familiarity and comfort of home-like environment. With flexible housing options – services, amenities and round-the-clock care tailored to their health and wellness needs, your parents can continue to live a healthy, happy and safe life. Equipped with over 114 hours of training, our professional and warm caregivers compassionately deal with physical and emotional needs of patients. Staff is available 24x7 to administer medicine, take residents for walk and help them with physical activities. CCRC armed with an emergency response system, medical store, trained nurses available 24X7, ambulance and paramedic staff, an on-call doctor and OPD services. 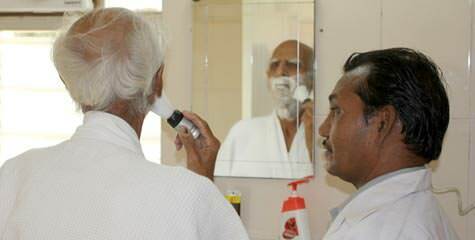 Beyond medical needs, we also provide other need-based services to our residents such as housekeeping, laundry, grooming support and daily chore management. We design special activities tailored for the residents’ physical, emotional and mental well-being. Activities include memory jog art games, singing events and light sport competitions that build recall and develop physical strength of the residents. The Next to Kin (NOK) are sent a regular report card with photographs for updates on their parents’ health, fitness progress and their level of involvement in Ashiana activities. 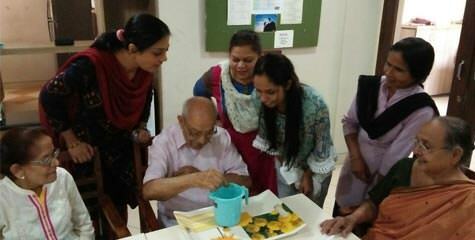 Caregivers at Ashiana Care Homes are selected carefully and they undergo 114 hour training on basics of geriatric care, health, hygiene, incident / emergency management, soft skills, and managing conditions like dementia etc. Due to this training, caregivers can effectively handle a wide range of behaviour issues which may range from anxiety to anger and agitation to depression. From organising an outing to creating a song and dance party, they do everything to keep residents positive and happy. Caregivers pick up on the body-language of residents to know if they are hungry, irritated, anxious or going through a health problem. Apart from human qualities like warmth. ""As a retired Prof. of Economics, he moved to Care Homes on his own. Though able to move around on his own, he chose this facility for security reasons as well as for a hassle free life and a sense of being cared for. He feels proud to be at Care Homes and wishes to shift to Jaipur Care Homes as soon as it is launched. An avid reader, he compiled a book “Haryanvi Kahabatein” during his stay here." "
""Mom and I visited UCH at Jaipur on Sunday, Sept 25, 2016. 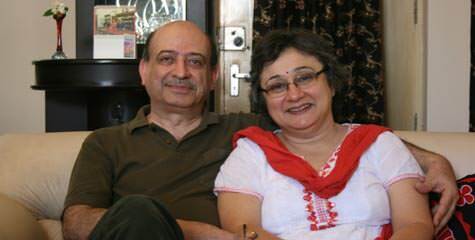 Our objective was primarily to meet Bishu to personally thank him for the wonderful care he had taken of Mamu in the initial years. Abhishek was also there and, everyone greeted us very warmly and, it was such a pleasure to meet them! UCH Jaipur is beautiful and we really liked it. I would also like to add, that though Guganji is not with UCH anymore, we cannot forget him for the excellent support and care he provided whether it was arranging ambulance or caregivers at short notices or, liaising with accounts or anything else…..he was prompt and did his job very well, he was a pillar of strength during our difficult days and, I feel bad that he had to go this way. If anyone of you happen to speak to him, please remember him on our behalf."" ""Care Homes , Bhiwadi has all the facilities to take care of elders."" Who is eligible to be admitted as a resident of Utsav Care Homes (Assisted Living)? How does the Care Home differ from a Nursing Home? 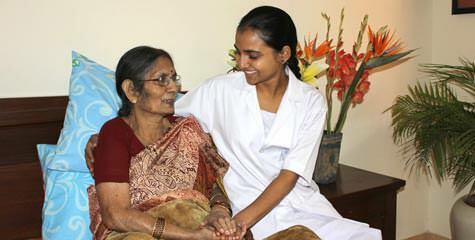 The Care Home is a care-oriented service for senior citizens. Unlike a nursing home where treatment is the key, a Care Home is limited in provision actual medical treatment.. Instead, Care Homes emphasise more on assistance in activities of daily living such as eating, bathing, toileting and changing clothes, as well as recreational activities for a particular age group. What services will the Care Homes provide for my parents? Pay-by-use services will include ambulance, lab tests, medicine delivery and any other expenses incurred. Will a Doctor be available at the Care Home? Yes. A doctor will be available during OPD hours. We also ensure that doctors are24/7 on call. Will there be a nurse or attendant on-call 24 hours? Yes. Nurses and attendants will be available 24/7 at our Care Home. How do I make monthly payments for the services availed? Can I pay up-front for a few months? Yes. You can make monthly payments via electronic transfers or you can courier us a cheque/DD. You can also make advance payments upfront. How often can I visit the facility and see my parents? Can my young children also come to see their grandparents? Will there be accommodation available for us if we stay for a longer duration? Absolutely. Our residents’ families are welcome to visit residents at any time of the year. In fact, frequent visits by children and grandchildren are highly recommended by our doctors. You can avail of the Utsav furnished apartments if you choose to stay for a longer duration. Please check availability and applicable rates in advance. How do we ensure safe custody of my parents’/ your residents’ personal belongings? Personal belongings can be kept under lock and key in the unit itself, for which a provision has been made. Who bears the expenses of any hospital admission, tests and medication as prescribed by the doctor? The expenses for any hospitalisation, tests, medication will be borne by the residents themselves. In an emergency, however, if a resident is admitted into hospital, we shall make the payment on behalf of the resident till the NOK (Next Of Kin) arrives. What are the specific geriatric and old-age friendly features in the Care Homes? In the complex and the apartment block you will find gradual slopes at the entrances, wheelchair-friendly path-ways, grab rails and attendant call buttons. Within the apartment unit, we provide age-friendly furniture, beds, recliner mattress and anti-skid tiles. All the apartment walls have chambered wall edges, designed to prevent injuries. The bedrooms have easy-reach coloured light switches and night switches that swiftly bring forth the safety of light. Emergency bell switches in the bedroom and corded switches in the bathrooms that, upon activation, will alert the security immediately to come to your aid. Will my parents be served meals in the room or do they have to go to the dining hall? Meals can be served in the rooms or in the dining hall. What are Care Homes? A Care Home is a residential care facility that provides assisted living services to people who need it – either due to old age or disability. It is not, however, the same as a licensed nursing home facility. I visited Ashiana's housing for senior citizens at lavasa. Mr.Mahendra Verma was very helpful and kind enough to provide with all the information i needed. He answered all my queries very patiently and gave me detailed explanation about my doubts. It is very rare to receive such help. I am very thankful to him and Mr. Kamal who helped me and I really appreciate it. Thank you for the appreciation you have mentioned for our people, your satisfactions meant a lot to us. Thanks for sharing your number with us, our executive will get back to you soon. Thank you for the appreciation. - Team Ashiana. 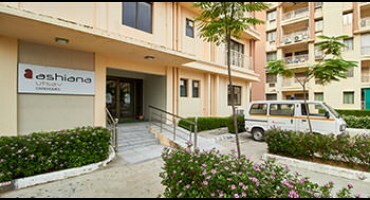 Care homes is a nice society of Jaipur which have a large green area. main thing of Ashiana which I like most that is security. In all project of Ashiana the main concern is security. Safe place for older ones with fully equipped amenities. I am a ashiana angan bhiwadi, resident. 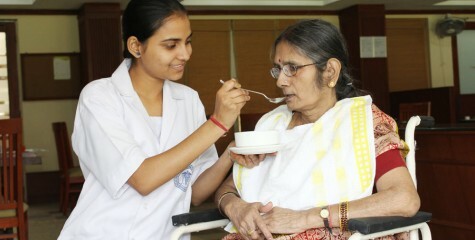 And I really feel wooow when I get know about the Utsav care home Jaipur. 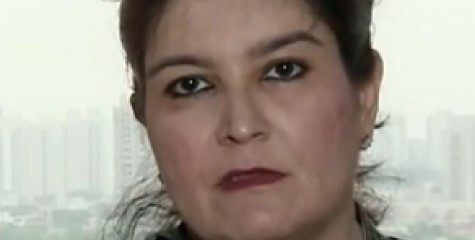 Ashiana always doing a great job and for this project i should say that ashiana is the best. Thanks for sharing your positive views on Ashiana care homes facilities for seniors. 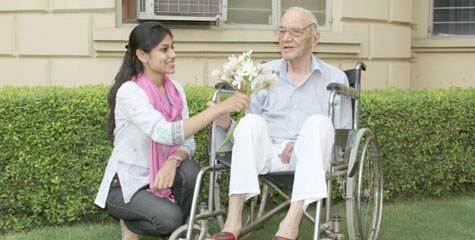 Care homes in Jaipur is one of Ashiana's most deftly maintained project keeping care of every senior citizen in every possible way.Gr8 Work Ashiana. Thanks for admiring Utsav Care Homes at jaipur, it motivates. Ashiana senior living community is one of best project. Very peaceful ambience with all the facility needed by senior person. Project is completely designed for seniors requirements. 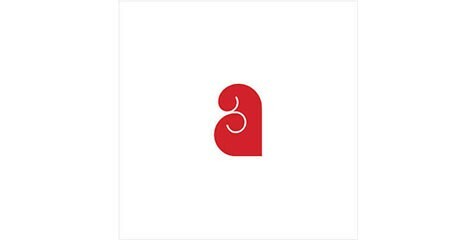 When we choose Ashiana we feel safe .All Ashiana projects are best.But senior living care homes itself a wonderful project .Thank you Ashiana team for this wonder start up in India.